This tour is for camping lovers! 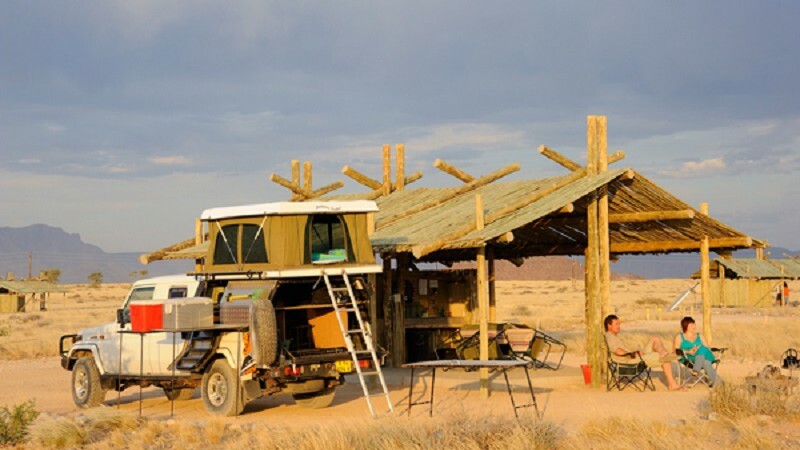 Explore the beauty of Nambia in a 4×4 tent selfdrive tour. The gravel roads are well maintained but not always well signposted. A GPS is recommended as well as a good road map. You have to travel quite some distance to get from A to Z but the drive itself is an incredible experience. This country is my personal favourite and ideal for self drive! Me and my family have been camping in Namibia many times. Namibia possesses some of the most stunning landscapes in Africa and a trip through the country is one big road adventure. On arrival in Windhoek, collect your rental vehicle and start your journey. Depending on your time of arrival, you stay over in Windhoek or take a drive in the direction of your travel. The Fishriver Canyon is located in the South of Namibia and a natural border between Nambia and South Africa. Its the largest canyon in Africa and the second most visited tourist attraction in Namibia. I recommend to stay 2 nights so you can explore the canyon during a hike. 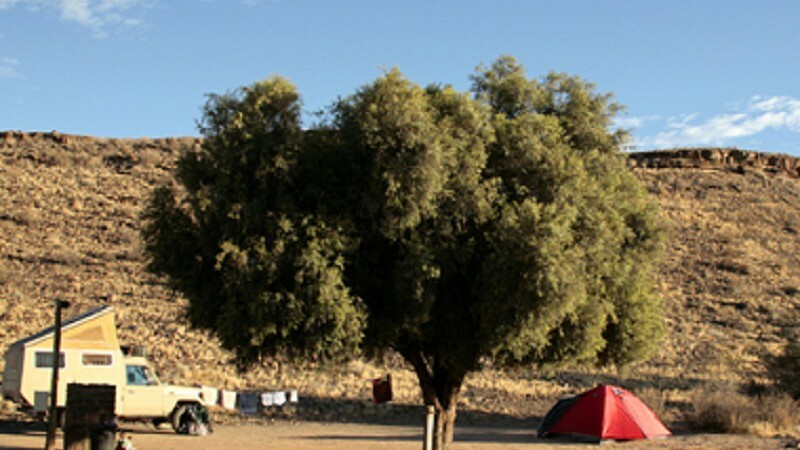 On the way to Sossusvlei, you need one night in between. 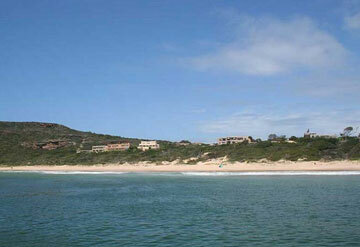 The Klein Aus Vista camping site is beautifully located and their are a few attractions close by. One of the highlights of this trip is a visit of the Sossusvlei dune. 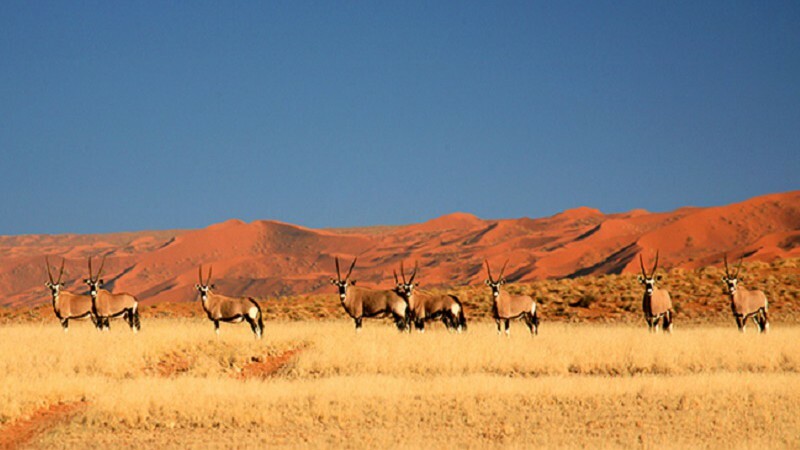 Situated in the largest conservation area in Africa ( the Namib Naukluft National Park ) and characterised by the large red dunes that surround it, Sossusvlei is a large, white, salt and clay pan and a great destination all year round. The dunes in this area are some of the highest in the world, reaching almost 400 meters, and provide photographic enthusiasts with wonderful images in the beautiful morning and evening. Take a little break from camping and enjoy Swakopmund's most loved summer destination. It is Namibia’s second biggest town and also known as the adventure capital of the country offering plenty of outdoor activities, tourist attractions and historical sites. Damaraland, located in central Namibia, is a ruggedly beautiful region of untamed wilderness ranging from open grass plains to mountainous granite hillocks and deep gorges, and further to the west endless oceans of desert sand. Etosha National Park gets its name from the large Etosha pan which is almost entirely within the park. The Etosha pan (4,760 square kilometres ) covers 23% of the area of the total area of the Etosha National Park. The park is home to hundreds of species of mammals, birds and reptiles, including several threatened and endangered species such as the black rhinoceros. Drive through the park to the east side of Etosha National Park. You experience a change in landscapes and animal species. Here you can either stay at the restcamp or one of the lodges just outside of the Park. 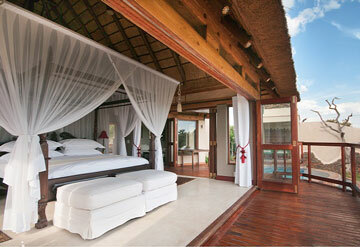 For camping I recommend the Tamboti campsite or try out the Tree Top Lodge at Onguma Private Game Reserve. 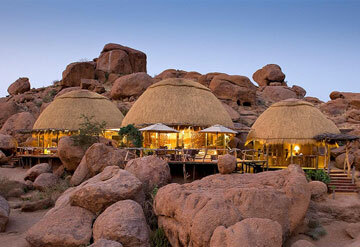 The Waterberg area is ideally situated for a stop over to Windhoek. You can explore the Waterberg Plateau National Park during a hike or an organised nature drive. Or visit The AfriCat Foundation which rehabilitates cheetahs, wild dogs hyaenas and leopards, there are opportunities to see these beautiful carnivores in their natural environment. The drive from the Waterberg area is about 3 h. Time enough to get to the Windhoek airport in time for your flight back home. Time to say good bye!